快速启动应用程序 , 访问文件的辅助程序. 你可以通过这个程序直接启动与访问您的文件. 并且可以安装更多辅助控件来帮你完成更多工作. Loads of app-launching, file-searching goodness - free for you to download and use with no strings attached. Alfred is the ultimate productivity tool for your Mac. Get it and see for yourself. 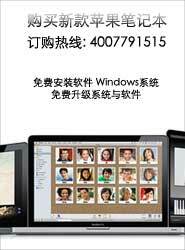 Alfred 3.8.1 2019-3-16 快速启动应用程序 , 访问文件的辅助程序. 你可以通过这个程序直接启动与访问..
Alfred 2.8.4 2016-5-3 快速启动应用程序 , 访问文件的辅助程序. 你可以通过这个程序直接启动与访问..
Alfred Powerpack 1.2 2012-5-6 Alfred是苹果系统上最新出来的一款可帮助大家在Mac上快速启动应用程序。..